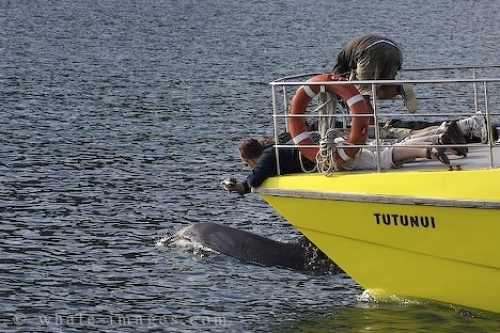 Order your quality tile of "Bottlenose Dolphin Watching Vessel Bay Of Islands New Zealand" now! Photo of passengers taking pictures while laying across the bow of a dolphin watching vessel in the Bay of Islands, New Zealand. "Bottlenose Dolphin Watching Vessel Bay Of Islands New Zealand" tile!